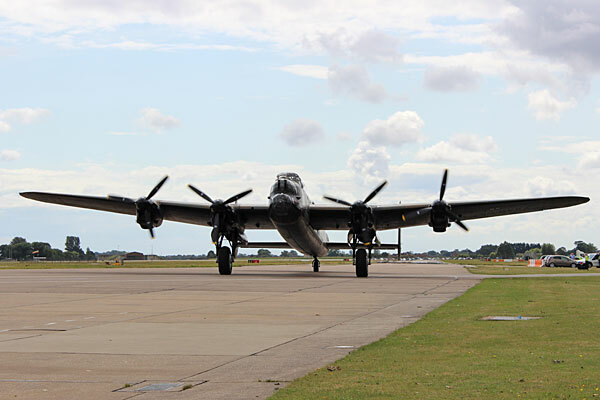 To-day I had the luck, nay privilege, nay honour, of being at RAF Coningsby to see, along with a few hundred others, a bit of history written. 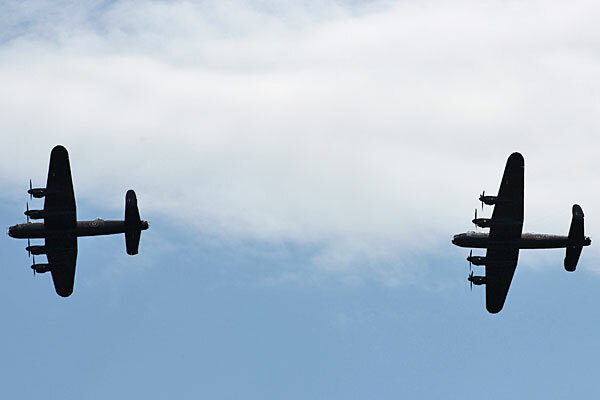 It was the first time in 50 years that two Lancasters had flown together in UK airspace. Anything else that happened after the first hour of flight was very unimportant. 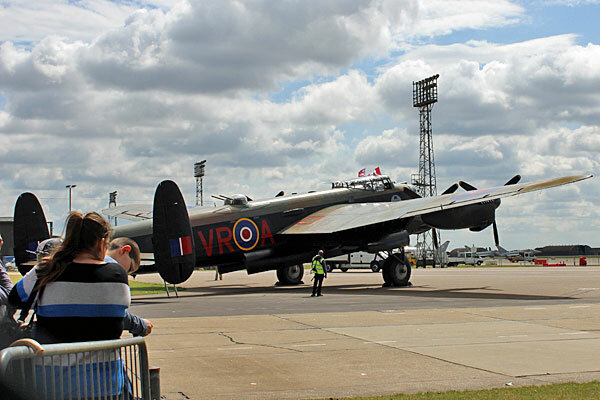 The sight and sound of our ‘Thumper’ and the Canadian ‘VR-A’ [Vera] was unbelievable. I have attached a few photos of the day that you may want to add to the next newsletter. 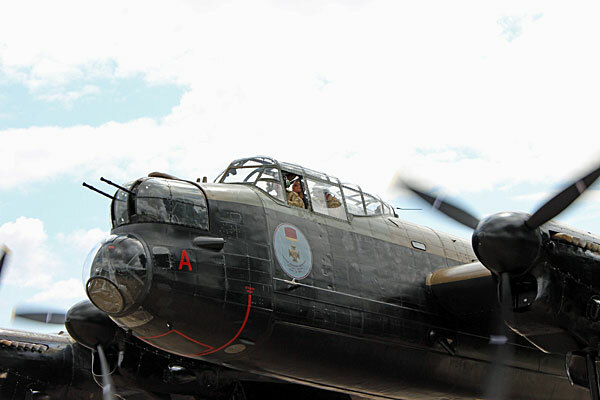 On the shots of the two Lancs ‘VR-A’ is the trail aircraft. July 25, 2014 - Lockheed Martin Aeronautics rolled out the first two F-35 Lighting II fighter jets for delivery to the Royal Australian Air Force. “Today, we celebrate a milestone in the U.S.-Australia partnership, a partnership built on strength, friendship, and technological innovation,” Frank Kendall, U.S. Under Secretary of Defense for Acquisition, Technology & Logistics, said a ceremony at Lockheed's Fort Worth manufacturing plant. 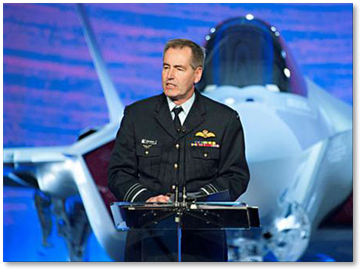 Other dignitaries at the ceremony included Air Marshal Geoff Brown, Chief of RAAF (pictured at left), and and Marillyn Hewson, Lockheed Martin chairman, president and CEO, the company said. 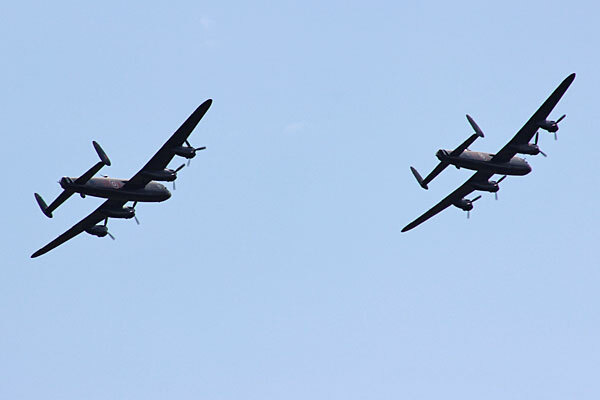 The planes will be delivered to the Royal Australian Air Force later this year. They will be based at Luke Air Force Base in Arizona, where they will be used for Australian and partner country pilot training, Lockheed said in a release. Lockheed said that the deal with Australia already has $412 million contracted and up to $6 billion in anticipated orders over the life of the program. The aircraft, known as AU-1 and AU-2, will undergo fuel system checks before being taken to the flight line for ground and flight tests in coming months. 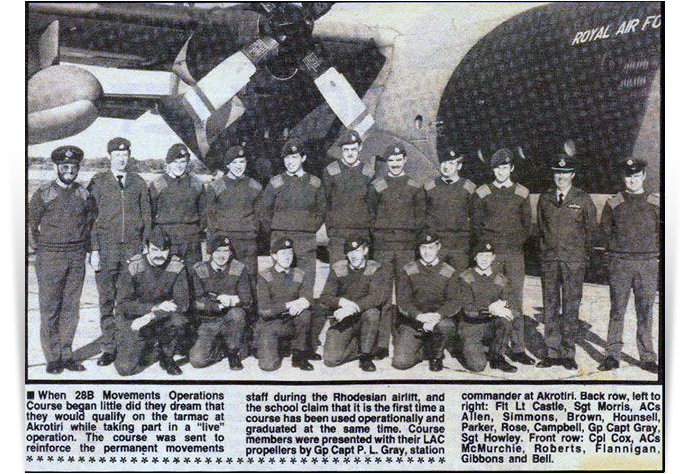 Going through some old (very) pictures, I came across this photo which appeared in Jan 1980 RAF News. 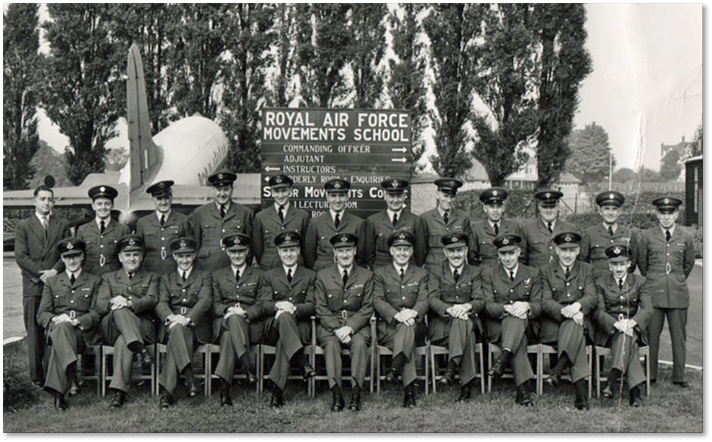 It was the graduation picture for 28B Operators Course Dec 1979 at RAF Akrotiri, a few old faces on there, but in much younger mode (Bob Simmonds, Dinger Bell, Bubble Roberts to name a few). We were the first Operator Course to graduate on operations (Op Agila), without taking the final exam, and were assessed on the job!! Couldn't see that happening these days! Hopefully will be around for the Top-Table this year as finally finishing contracting work in Afghanistan and will be heading home first week in August and will be good to catch up. 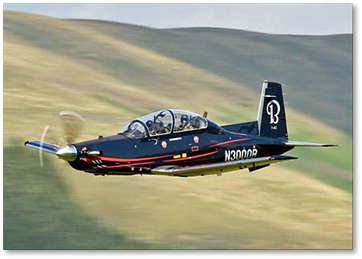 The first two Beechcraft T-6C Texan II trainers for the Royal New Zealand Air Force touched down at Whenuapai, RNZAF Base Auckland this week at the end of their 20 stop delivery flight from Wichita, Kansas. The two aircraft will be formally handed over to the RNZAF in October after intial pilot and maintenance training is completed. To be based at Ohakea, all 11 T-6Cs on order are due to be delivered by June 2015, allowing the first RNZAF pilot training course on the aircaft to begin in early 2016. The T-6C was ordered in January to replace the RNZAF’s CT-4E and some King Air 200s in the basic and advanced training roles. As well as aircraft the acquisition includes simulators and classroom and computer-based training devices. “It is great to see the first T-6C aircraft arrive in New Zealand just seven months after Beechcraft Defense Company was awarded the contract to deliver a new effective military pilot training system,” Defence Minister Jonathan Coleman said in a statement. No difficulty with this Mystery as I am second left back row standing next to the civilian. It was of course the Senior Movements course taken on or around 15 September 1960. I remember the date well as, during one lecture, the CO came in with a telegram to say which one of you is Rowland, because your wife has just had twins! The other Rowland on the course said, "Not me mate, I'm too old". Which left a surprised Sgt as we were only expecting one!! After half a century, the names get forgotten. However, the chap seated first left is George Wilmott. Back row 3rd from the left is Tony Lamb (regrettably deceased). Front row 4th left is the other Rowland, but I can't remember his first name. I think he was a Flt Lt at the time. I think the small guy seated far right is Allan Walker, but wouldn't swear to it. Good to see some old friends, mind you didn't we all look young? The 'Calendar Girls' actress has revealed the secret to keeping in shape aged 68 is sticking to the Royal Canadian Air Force's exercise plan which was devised by a doctor in the 1950s. Helen insists the routine - which takes just 12 minutes and includes push-ups, sit-ups, running on the spot and arm circling to work all the muscle groups - helps her to get fit in just a couple of weeks. She told Hello! 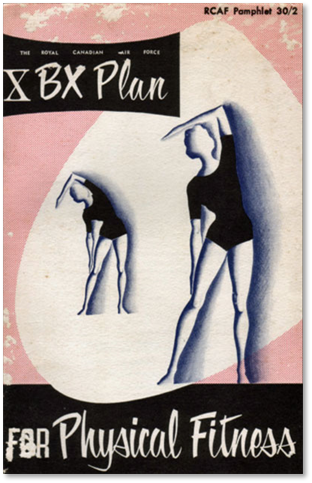 magazine: ''I do a thing that leads me into exercise. 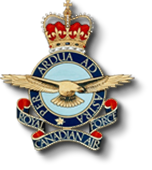 It is the Royal Canadian Air Force exercise plan. ''It is 12 minutes and they have charts you follow... Each day, you have to do the exercises within the 12 minutes and until you can, you can't move up. Helen - who is a self-confessed 'yo-yo dieter' - revealed that her weight constantly fluctuates by 10lb and is returning to the plan after finding herself at the upper end of her ideal weight range. She explained: (I'm) at the top end of those 10lb and I have got to get back to the bottom end'. 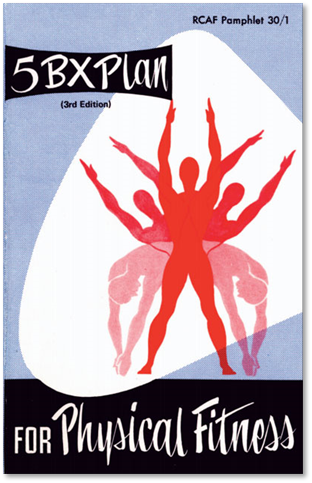 Here are the original exercise programs which are free and available for you in .pdf (Adobe) format to download - just left click on the pamphlet of your choice. Don’t know how much of the tour you have seen but thought you might like this clip. 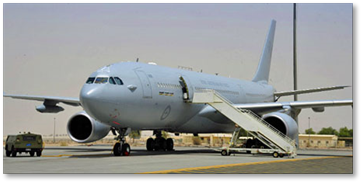 Australian defence minister Senator David Johnston has hinted that his government is considering acquiring additional Airbus Defence & Space KC-30/A330 multirole tanker transports (MRTTs) and Boeing C-17 strategic transports as part of a Defence White Paper currently in development. 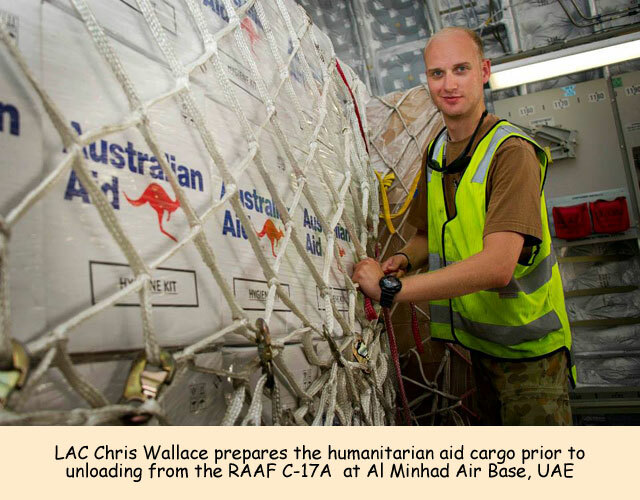 Despite being registered as a “Project of Concern” by the Australian Defence Materiel Organisation because of ongoing delays in clearing the aircraft’s Aerial Refuelling Boom System and other software-related issues, the KC-30 has recently performed a number of strategically relevant transport and refuelling tasks. 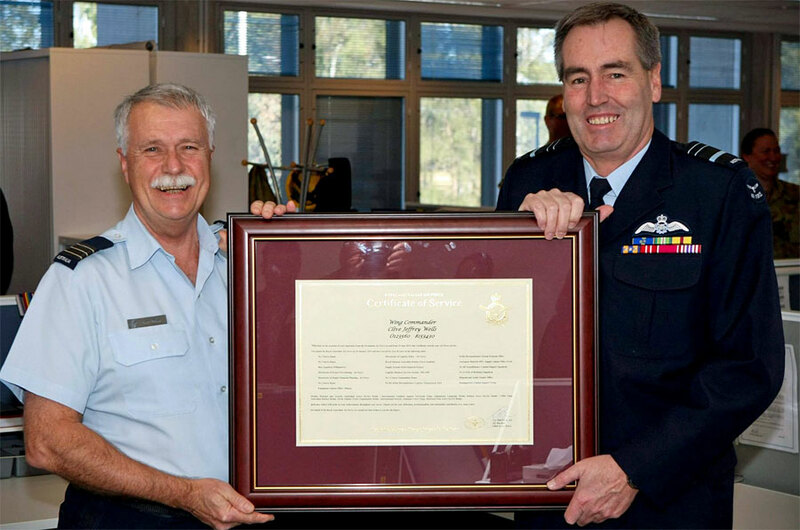 In recent months the fleet has operated a nonstop training mission from Darwin to Dallas-Fort Worth in the USA, has flown nonstop from Amberley to Anchorage in support of a Lockheed Martin C-130J deployment to Exercise Red Flag Alaska, and in June performed an 11h refuelling mission in support of RAAF Boeing F/A-18A/B Hornet and F/A-18F Super Hornet training missions at opposite ends of Australia. The air force has also used its KC-30s and up to three C-17s in support of the Malaysia Airlines flight MH17 recovery mission in Ukraine, staging out of Eindhoven, in the Netherlands. Johnston meanwhile describes the possibility of acquiring additional C-17s as a “no brainer”. 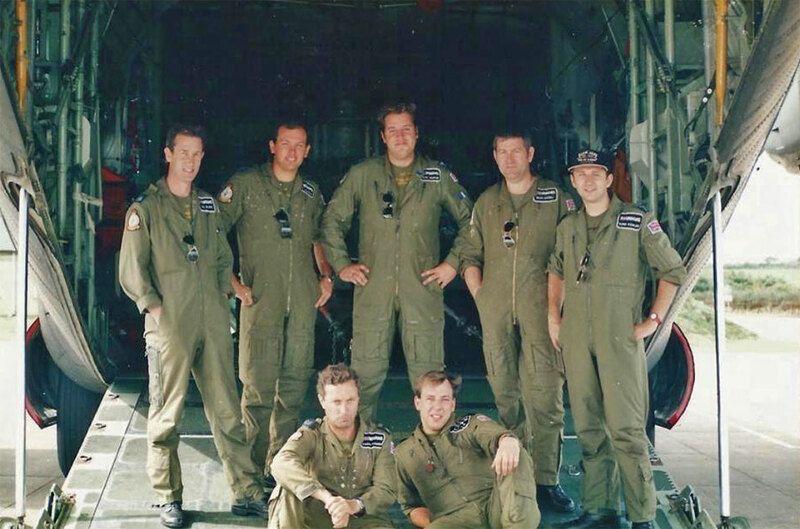 The RAAF's 36 Sqn operates six of the type from Amberley. With the service's C-130Js used mostly in a tactical role, the opportunity to acquire two of the up to 12 unsold “white tail” C-17s Boeing will complete by early next year may prove tempting. The Royal Australian Air Force currently has five KC-30s in service with 33 Sqn, based at Amberley in Queensland. Yet again I have found a book which describes what happened to the Aden we all knew who served there. 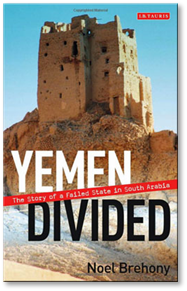 The author tells for the first time the comprehensive history of the People’s Democratic Republic of Yemen (PDRY). He explains the power politics that came to form a communist republic a few hundred miles from the holiest site of Islam; the processes and conflicts that led to Yemeni unification in 1990. The UK Royal Air Force has deployed its first Boeing RC-135W Rivet Joint signals intelligence aircraft to support operations over Iraq - the first operational deployment of the type since its delivery in November 2013. 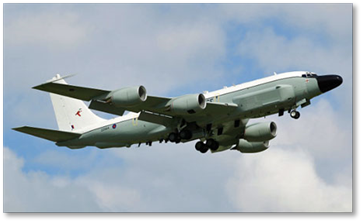 The aircraft was delivered under the UK’s Airseeker effort, which will see the RAF operate three converted KC-135Rs in line with the US Air Force's Rivet Joint force. 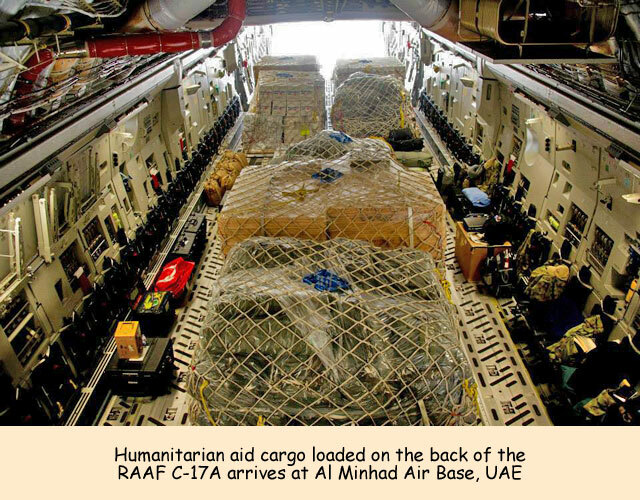 The UK has also deployed two Lockheed Martin C-130J tactical transports in support of the aid effort, as well as a “small number” of Panavia Tornado GR4s carrying the Rafael Litening III reconnaissance and targeting pod. 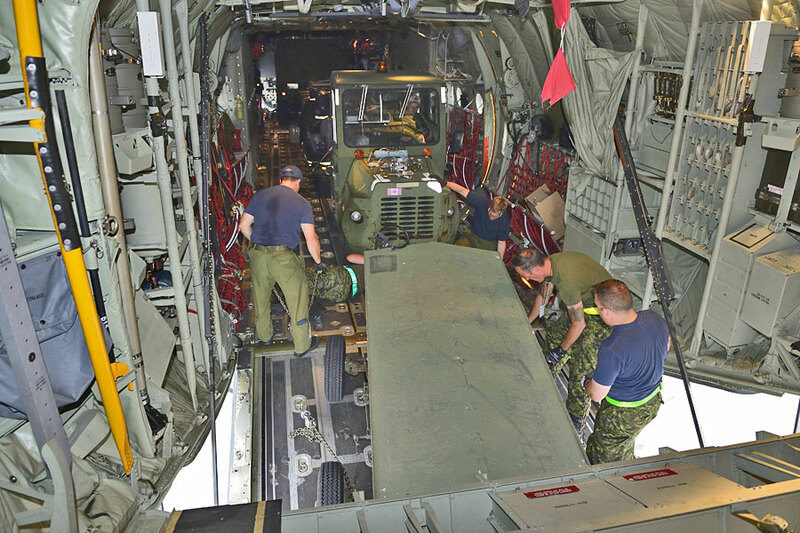 Boeing CH-47 Chinook transport helicopters have also been deployed to Akrotiri. 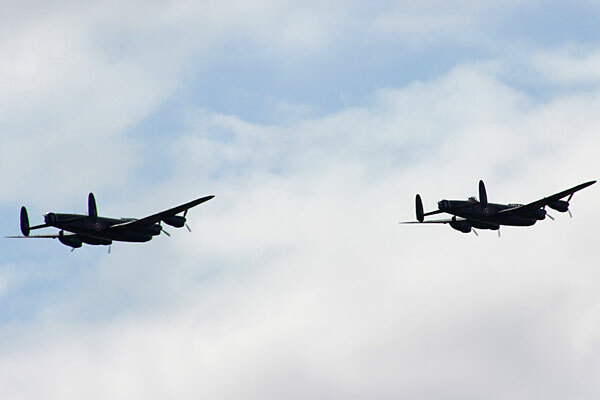 It is believed the RAF's Rivet Joint was deployed in July - weeks before the other RAF aircraft movements - although defence minister Michael Fallon only announced its involvement on 16 August. 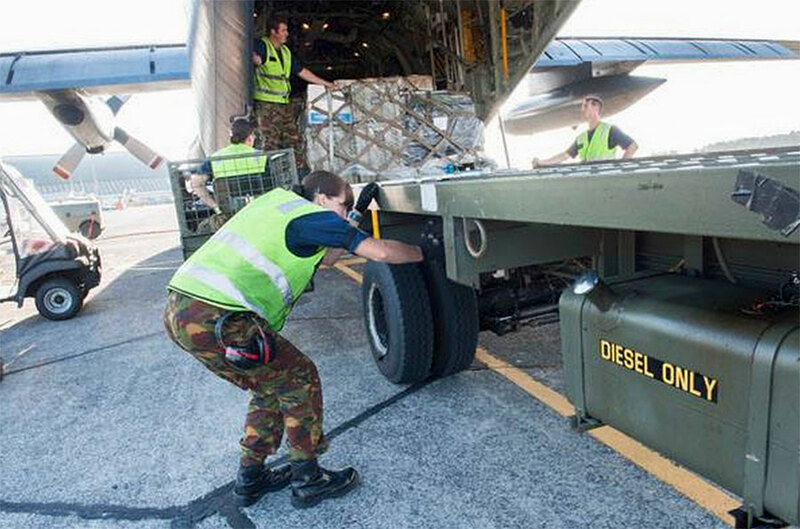 The deployed jet is stationed at RAF Akrotiri in Cyprus, where it is positioned to easily deploy over northern Iraq to support the humanitarian effort under way in the nation. Islamic State militants have forced religious minorities from northern Iraq on to Mount Sinjar, which has resulted in humanitarian efforts by the USA and UK, among other nations, to provide aid. Minimum 2 years Airline/Handling experience either above or below the wing (in one or more core areas such as ramp, load control, passenger services and cargo) in any major international airport. Graduate is preferable.10 years in airport or ground services operations or in related area of work. IATA Station Management (Thorough knowledge of Airport handling and aviation background). Computer literate. 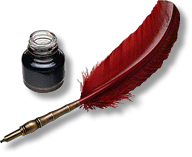 Excellent people management and motivational skills, consultative team oriented working style. High level of entrepreneurial skill, resilient and culturally sensitive with high communication skill. Able to create strong partnering relationships at a senior level with internal and external contacts, including heads of governments, airlines and business associates. - To assist Officer - Ramp Administration in the day to day work. - Prepare reports and correspondences for Senior Manager - Ramp Services. - Provides supervision to Ramp Services administration staffs. - Set-up objectives, design/plan aviation security courses/modules for different categories of staff. - Preferably a Bachelor’s Degree in security or associated subjects from a recognized university or a Diploma in Aviation security or ICAO Avesec PMC holder (aviation security professional managers certification from ICAO ) - Experience in a Police or an Armed force will be an added advantage. - Should be able to pass a validation test for security instructors by the security dept (GMGS) as an approved security trainer for the airline airport services and associated companies. 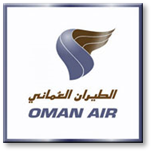 Ensure that a written agreement exists between Oman Air and the selected providers clearly defining the safety related services and quality to be provided, along with a continuous monitoring of such agreements to ensure that the renewal is within the time frame set out by Company policies. - A Master’s Degree from a recognized university is preferable. - Successful completion of professional courses in Aviation in the Management Level with an internationally recognized organization or a government organization. - Minimum 10 years work experience as a professional executive in a reputed organization out of which a minimum of 5 years as a trainer. - Work experience with a reputed airline will be an added qualification. 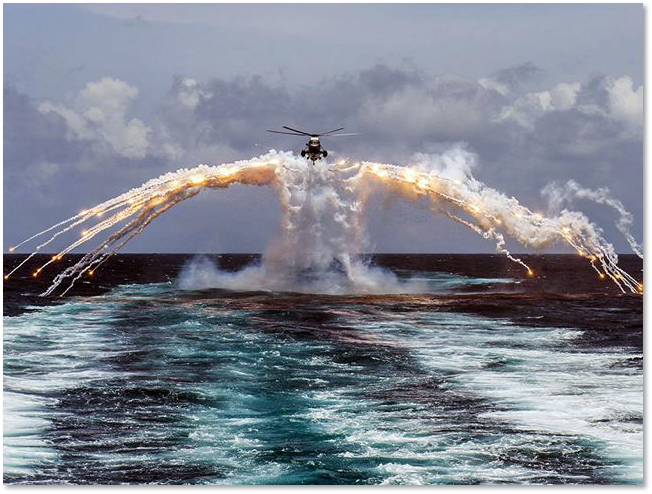 Sea King deploys flares during flight - Now this is one cool photo! This photo really catches the eye. Her Majesty’s Canadian Ship REGINA’s CH-124 Sea King helicopter deploys flares during a routine flight operation in the Indian Ocean on August 14, 2014. 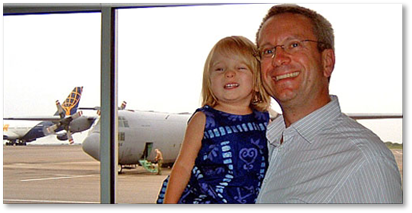 "The UK places the utmost priority on protecting its citizens, whether at home or abroad. We are always prepared to deploy British forces to evacuate UK nationals should their lives be placed in jeopardy. In light of the deteriorating security situation in Cote d'Ivoire, a military reconnaissance team deployed earlier this week to assess the requirement to evacuate UK nationals. I wish to inform the House that, following this reconnaissance, the Foreign & Commonwealth Office has requested British forces to undertake an evacuation of UK nationals and others over the next few days. Some 400 people are entitled to our protection. "While I cannot give the House precise details of the mission for reasons of operational security, we have now established liaison teams in Abidjan, and at Accra in Ghana. Concurrently, we have ordered the deployment of the Spearhead Lead Company Group, comprising Royal Gurkha Rifles personnel, to assist with this evacuation." The Company Group is pre-positioning in Accra and will be on immediate notice to be called forward to support the evacuation in Abidjan. 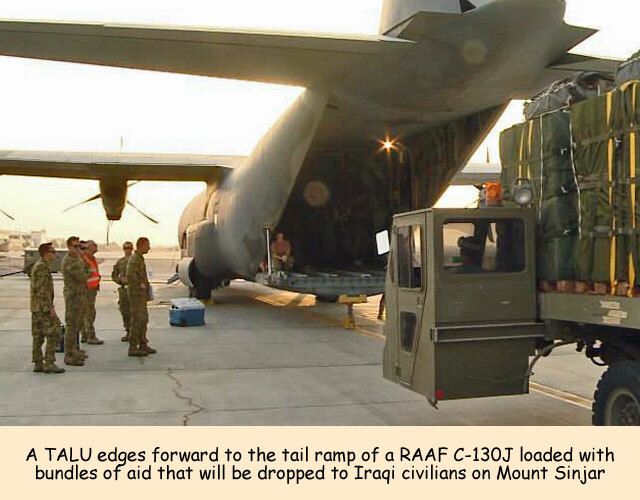 It is intended to support this evacuation with a number of RAF transport aircraft. In total, this equates to a deployment of around 300 personnel. "As an additional contingency we have redirected the Landing Platform Dock HMS Albion towards Cote d'Ivoire, and reduced the notice to move for other force elements, should they be required. We would expect the operation to last days, not weeks. "Our ability to react quickly to the situation in Cote d'Ivoire is testament to the flexibility and capability of Britain's Armed Forces, and to the professionalism of British Servicemen and women. The UK is working in close cooperation with international partners to monitor and respond to the situation in Cote d'Ivoire as it develops. In particular, we are working with the French and Ghanaians, who have offered significant enabling support to British forces." 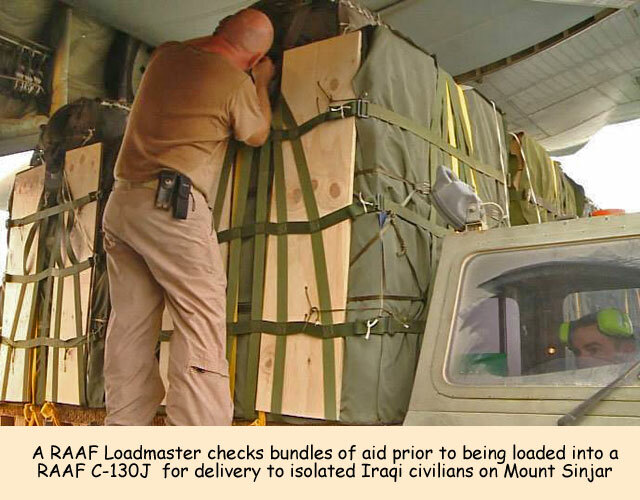 The overall duration of the operation, from the call forward of evacuation assets from the United Kingdom to the last aircraft departing from Abidjan, was only fifty hours. 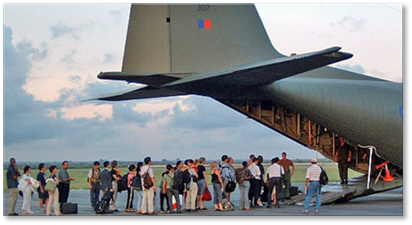 The evacuation operation commenced early on 12 November, RAF Hercules aircraft flying into Cote d'Ivoire to begin ferrying UK nationals and other evacuees to Accra, where the Foreign & Commonwealth Office and Ghanaian authorities took care of their reception and onward movement. Soldiers from the Royal Gurkha Rifles provided assistance to the Consular staff on the ground in Cote d'Ivoire. The evacuation by British forces was completed to the satisfaction of the British Ambassador at 1100 on 13 November, with all those UK nationals who wished to leave Cote d'Ivoire having been flown to safety in Ghana, along with the Embassy staff. 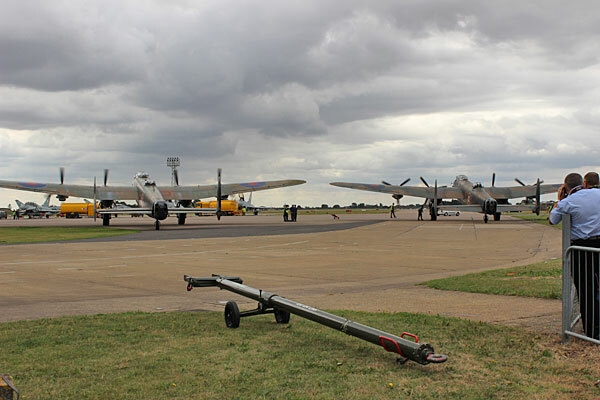 In total, the three RAF Hercules aircraft brought out 220 evacuees, including some nationals of other countries at their governments' request. The British forces began returning to the UK from the operating base in Accra on 13 November, having received outstanding support and cooperation from the French and Ghanaian authorities. It was night really - October 1956. I was stationed at Khormaksar and the Suez crisis had just flared up. 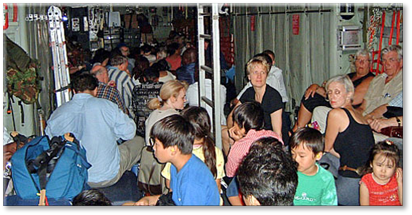 Normal schedules went out of the window and we had all sorts of aircraft arriving day and night, most carrying freight. As an aside as I said we had all sorts of aircraft arriving all the time; Yorks, Tudors, Hastings and the new BOAC Britannias even before they had started civil flights. 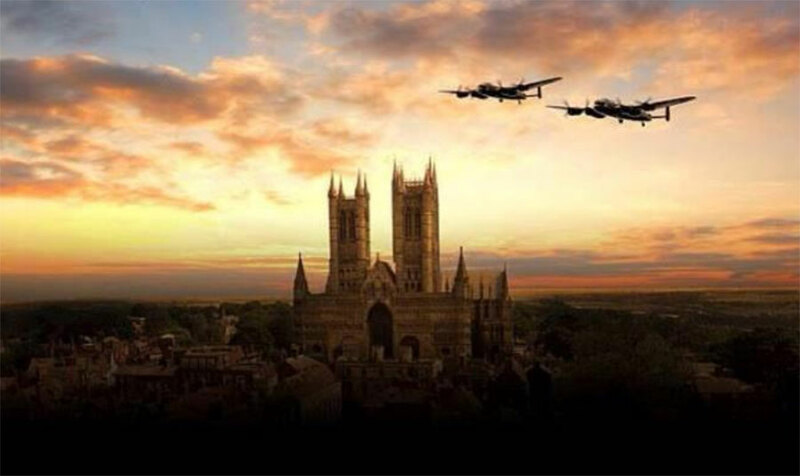 To watch a Tudor landing in the dark and see when the engines throttle back all the flames coming out of the Merlins exhausts was quite a sight as well as listening to the engines crackling and backfiring. 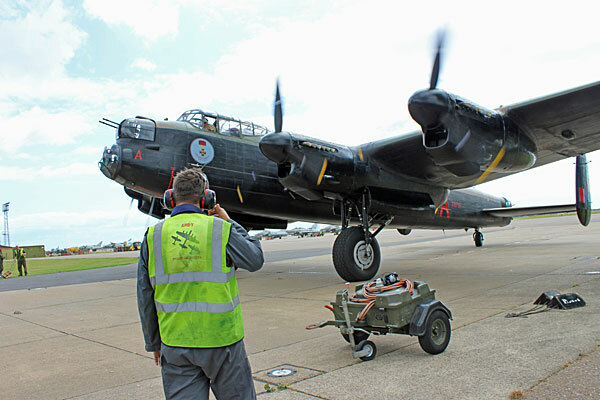 One night an Avro York arrived and I don't know what the procedure is these days but as soon as a kite parked all the aircraft systems were turned off as it was being refuelled. The only lights that were on were outside. I climbed on board and as I moved inside (in half darkness) a roll of barbed wire fell against my legs and left quite a few wounds. I should have gone sick but no, I patched my legs up myself and suffered for it later. I still have some of the scars on my legs just to remind me. 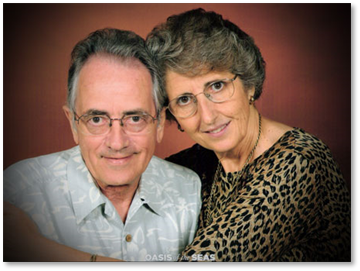 Subject: Frank Johnston’s 75th Birthday! Many congratulations on reaching three score and fifteen this coming week. It is a long time since we have been in touch and I remember your hard work and efforts in keeping the Eng side of UKMAMS on the go in the early seventies. As you will know we ran a busy outfit and we would not have succeeded as we did without some pretty massive support in terms of equipment and vehicles. Many thanks for all your efforts and to those in your team. I will reach the magical four score next March but I think our celebrations might be a little closer to home. We managed a week in Jersey in early July and I think that will be as far as we go for the moment except we have a weekend in Bruges to come - a present from our daughters for our 55th anniversary last year, which we are only now able to take up. I would like to extend very Happy Birthday wishes to Frank. The Mover World will be tipping one for you on the 29th August. I hope both Janet and you enjoy your trip and I will raise a glass at our normal Happy Hour on Friday for your celebration! 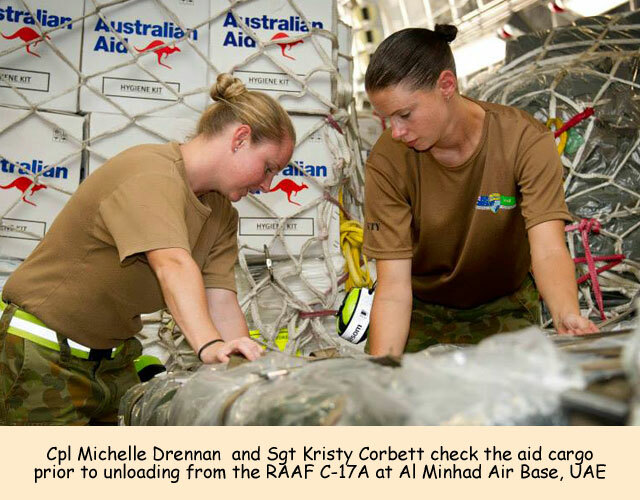 Operation Accordion, Al Minhad Air Base: The Australian Defence Force (ADF) has completed its first humanitarian drop to Iraq, delivering nine tonnes of critical supplies to Yezidi civilians, trapped on Mount Sinjar in the country’s north. 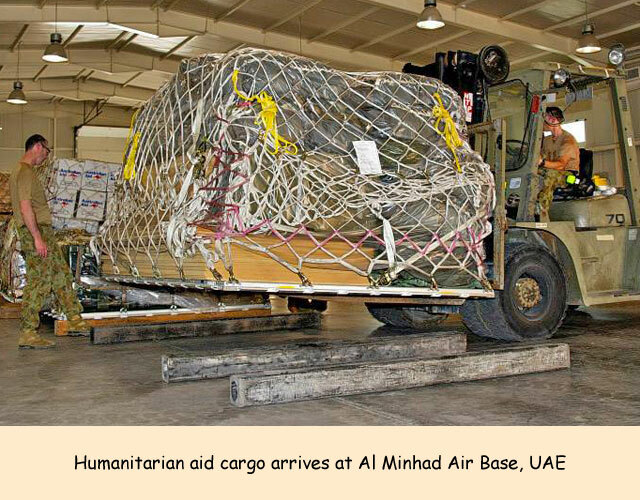 A RAAF C-130J Hercules assigned to Operation Accordion at A Minhad Air Base delivered 10 large bundles of Australian humanitarian supplies. 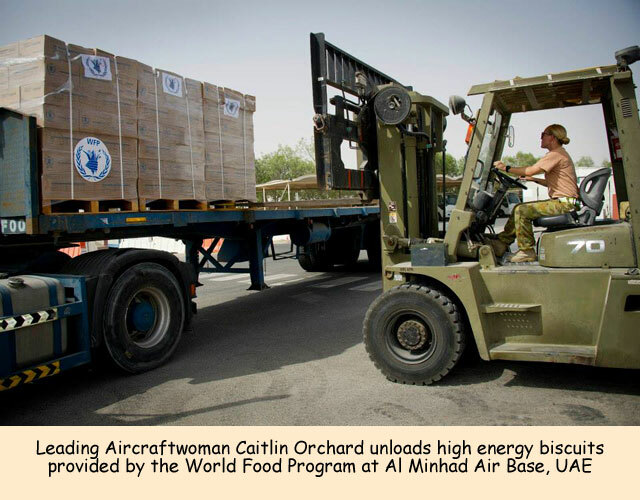 The cargo included 150 boxes of high energy biscuits and 340 boxes of bottled water - enough to feed and hydrate 3700 people for 24 hours. 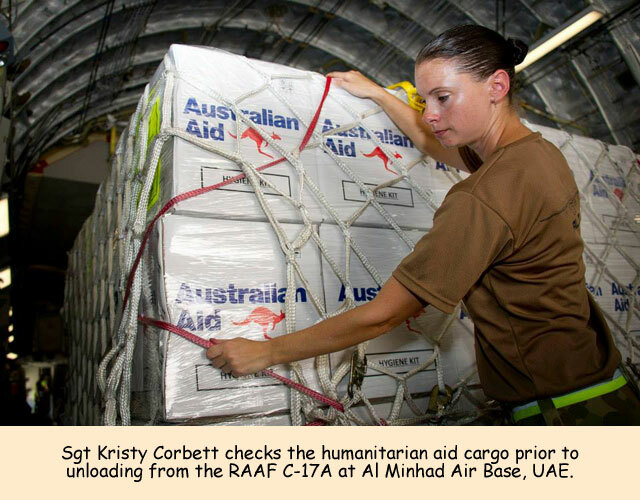 The ADF’s contribution in Iraq is part of a coordinated international humanitarian response. 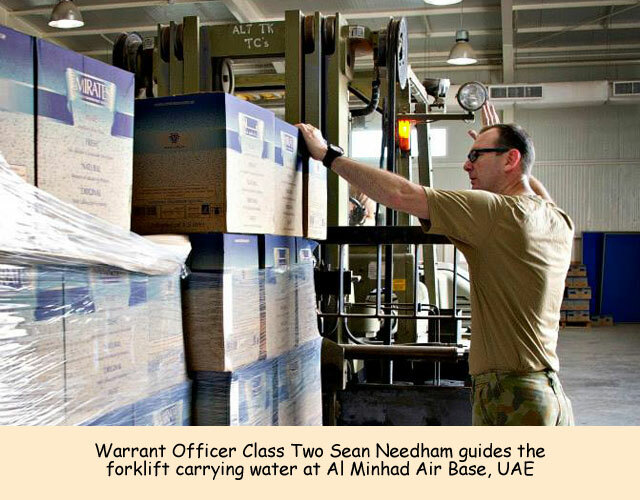 The Commander of Australian Forces in the Middle East Region, Major General Craig Orme, AM, CSC, said the successful conduct of this operation was driven by a team effort. “The Australian Joint Task Force has proven its ability to maintain support to our operations in Afghanistan and maritime security while also planning and conducting short notice operations within the region,” Major General Craig Orme said. 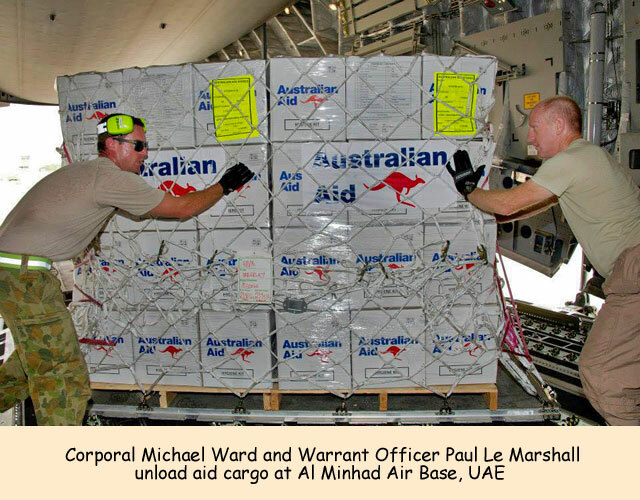 "This highlights the importance of an Australian military present in the Middle East with an effective headquarters that works to support Australia’s national interests." Subject: The Hardest Days worked in R.A.F. The hardest days for me were when, because of the absolutely stupid, idiotic system that meant that we "Movers" in the "old days" were part & parcel of the Supply Trade Group and could be posted to a Supply post, I was posted to E.S.G. 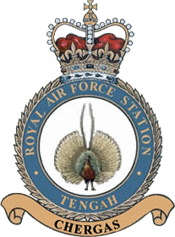 as a Cpl in the 60's at R.A.F.Tengah without any knowledge of stores whatsoever. If it hadn't been for the fact that I was in good ole' Singapore I dunno how I would have existed!! August '69 - Operation Spearhead… that was about 60 hours of non-stop aircraft into Aldergrove - one every 15 minutes and turning them around in under 5 minutes… knackering! Initial deployment at Ascension on the Falklands Excursion. R.A.F. Changi, six months on the S.W.O's. Funeral Guard of Honour. Unfortunately, on one occaision, we carried out five funerals in 3 consecutive days. Harrowing. By VC10 to the west coast U.S.A. and return within 36 hours. My next door neighbour asked me if I ever went to work! Wouldn't believe where I had just been. Abingdon, February 1973 - Flt Lt Chris Twyman, Sgt Dave Barton, Cpl George Lynes, SACs Tony Gale and Tony Moore. With a sound grasp of Royal protocol, UKMAMS were the obvious choice for moving an Egyptian King, albeit a particularly dead one. 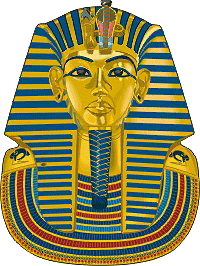 Following the display in London of the Sun King's treasures for a reasonably lucrative time, the Egyptians deemed it was time for their return. So that a potential thief would be twarted, the treasures were booked to a civil cargo flight as Iraqi super gun parts, with the mummified remains travelling economy class as one Mr Eric Swithers. It was correctly assumed that a person swathed in bandages would excite little comment on such a flight already familiar with carrying Club Med and 18-30 passengers. In a remarkably deft piece of counter intelligence work, the treasures were switched at short notice and in total secrecy to an RAF Britannia at Abingdon. I say "no notice" but a MAMS team were on standby for the task, which means that Command were obviously aware and had, in all probability, tasked the event weeks before. This in turn would implicate MoD as party to the secret, who themselves, in conjuction with the Court of St James, would have arranged the diplomatic process for a foreign nation to use one of our military aircraft. Also involved would have been the civil servants in the financial branch of the MoD and the cleaners at both Whitehall and Abingdon. Add to this list of participants; the personnel at the air traffic control centre at West Drayton who would have been called upon to clear the flight plan through to Cairo, the aircraft handling staff at both Heathrow and Abingdon, the haulage firm who moved the freight, and the staff at the museum, without doubt the secret was safe. The treasures turned up at RAF Abingdon in an unmarked furniture removal van [accompanied by the SAS]- probably only ever used to move rare and valuable historical artefacts around, and were quickly loaded to the Britannia. On this load, the squadron boss, Bryan Morgan, came to supervise, as it is on such loads that careers are broken. The Britannia plus team got away without a hitch, much to the relief of the boss, and all involved trekked back to the crew room. On the way back, Dave Barton, a noted souvenir hunter, reached into his pocket and withdrawing it said to the boss, "Look at this for a souvenir for the crew room then!" Had Bryan not lost three pints of blood from his face and gone quite faint, he might have seen the joke!